What does real wealth mean to you? Is it having your dream home? Buying an expensive car? Is it when you’re rich enough to have your own private plane? 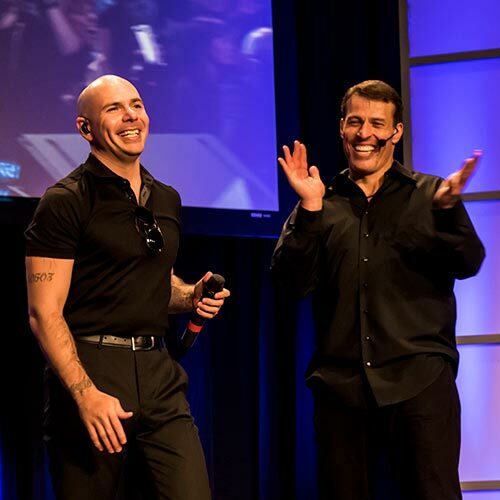 If you ask Armando Christian Perez – who you most likely know as the musician, Pitbull – wealth has absolutely nothing to do with money – it has only to do with happiness. [14:50] What is Pitbull most proud of? [20:50] What do you want out of this journey? [24:40] How are you going to make a decision if you aren’t a critical thinker? How to get what you want – By learning how to set meaningful goals and take massive action, you can propel yourself to achieve whatever you set out to. Music and your brain – Music has the ability to impact us mentally, physically and emotionally, influencing us on a number of conscious and even subconscious levels. The midnight workout – Your true character is revealed when there is no one looking, because it’s what we do when we act from our core self that really matters.